On 18 May WSET Certified Educator Cherie Agnew took seven students through their Level 1 Award in Wines as part of their Galvin’s Chance into work programme at The Hoxton hotel, Holborn. The Galvin’s Chance into work programme was founded in 2009 with the aim of helping disadvantaged young people and is designed to give them the skills, support and opportunities to start a career in the hospitality industry. It offers pre-employment hospitality training, a work placement, sustainable employment and also a NVQ level 2 apprenticeship. WSET has been pleased to sponsor Level 1 Award in Wines qualifications for candidates for 3 years running. 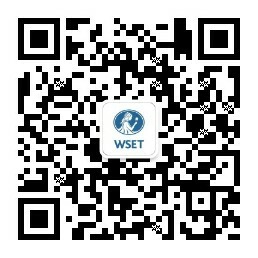 Initiatives like Galvin’s Chance, that empower young people with knowledge and skills, is what WSET is all about. We are a not-for-profit company, and Galvin’s Chance gives us another opportunity to train people who want to join the trade. "Galvin's Chance" was initiated by Chris Galvin, Chef Patron and Fred Sirieix at Galvin at Windows restaurant in 2009. The programme targets people aged 18-24 who are not in education or employment, and offers them training and opportunities for a front of house career in some of the most prestigious hotels, restaurants and food service management organisations in London.